German publishers may soon realize that the printed map is a thing of the past. 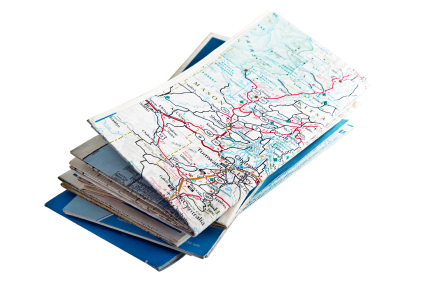 According to Buchreport’s latest figures, sales of printed maps declined 21% in mid-2008 and have dropped another 4.6% since this time last year. With more readers turning to the Internet for travel information and more travelers carrying around navigation systems in their pockets, travel publishers are going to have to consider innovative ways to get people to return to paper. For starters, maybe they can create a self-folding version? BuchMarkt reports that e-book provider Ciando.com will now be giving its customers the option of reading e-books as online documents, without requiring a download. CEO Dr. Werner-Christian Guggemos says that Ciando wants to offer its users — particularly those who don’t always have their e-reader handy — a choice between download and online reading.